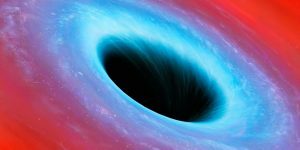 A black hole is a region of space time from which nothing can escape, even light. To see why this happens, imagine throwing a tennis ball into the air. The harder you throw the tennis ball, the faster it is traveling when it leaves your hand and the higher the ball will go before turning back. If you throw it hard enough it will never return, the gravitational attraction will not be able to pull it back down. The velocity the ball must have to escape is known as the escape velocity and for the earth is about 7 miles a second. 1)Black hole is not visible. 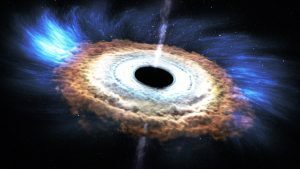 -black hole is completely indeed “black” no light can escape from it, it’s too difficult for us to sense the hole directly with our scientific instruments, no matter what kind of electromagnetic radiation we are using ( for example- light, X-rays, whatever). 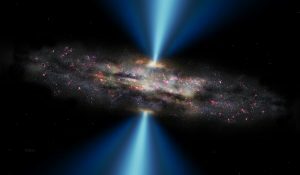 2)Our Milky Way likely has a black hole ? – astronomers says that, although there is probably a huge super massive black hole exist in the middle of our galaxy. 3)Black holes come in a different range of sizes. 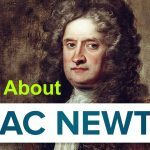 – The black holes are come in namely three types as per the statement of NASA. the types are stellar, super massive and miniature black holes. This type is depending on there mass . Stellar black holes form when a massive star collapses. Super massive black holes, which can have a mass equivalent to billions of suns. miniature black hole is much smaller than our sun. And the fact is No one has ever discovered a miniature black hole yet. 4) Black holes are very dangerous if you get too close. 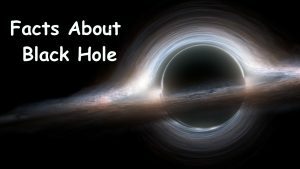 – It’s okay to observe black holes if you are away from its event horizon. Because of its gravitational force the hole can drag you inside and there is the point of no returns. 5)The nearest black hole from our planet. -The nearest black hole from Earth is 1600 light years away so far that they have no effect on Earth.A supermassive black hole appears to inhabit the center of the Milky Way galaxy, about 27,000 light-years away. 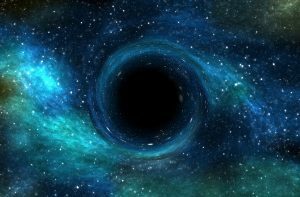 It is impossible to see a black hole directly because no light can escape from them; they are black. But there are good reasons to think they exist. 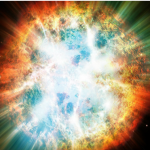 When a large star has burnt all its fuel it explodes into a supernova. 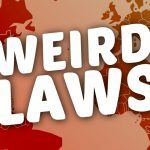 The stuff that is left collapses down to an extremely dense object known as a neutron star. 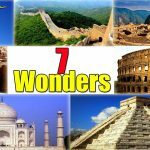 We know that these objects exist because several have been found using radio telescopes. A supernova occurs in our galaxy once every 300 years, and in neighboring galaxies about 500 neutron stars have been identified. Therefore we are quite confident that there should also be some black holes.